These shortcuts will have you ready for summer in no time! After surviving a long winter, there’s nothing like slipping on some flip flops (finally!) and getting outside to enjoy the warm weather. 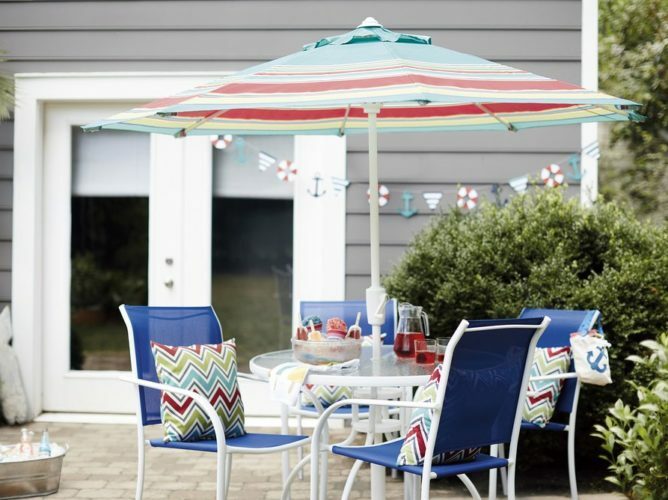 But what if your outdoor space isn’t quite as summer-ready as you are? It can be overwhelming to know where to start — especially if you have company coming over. Save time and sweat with these super simple tricks that’ll help you get your outdoor space in shape in no time. Outdoor rugs are all the rage—and for good reason! 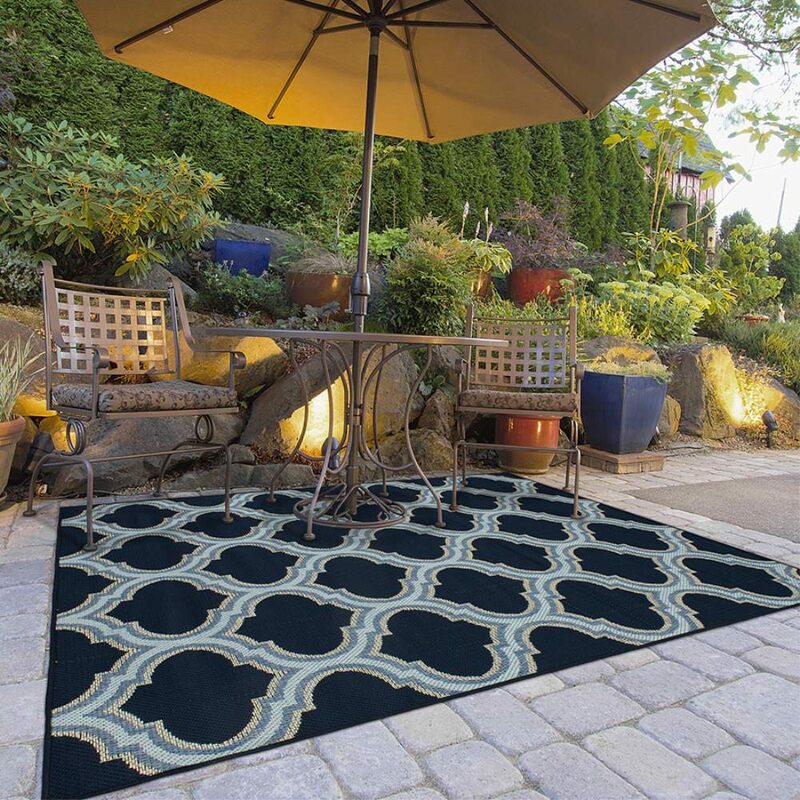 Adding a colorful rug to a patio or deck helps the space feel instantly more polished. 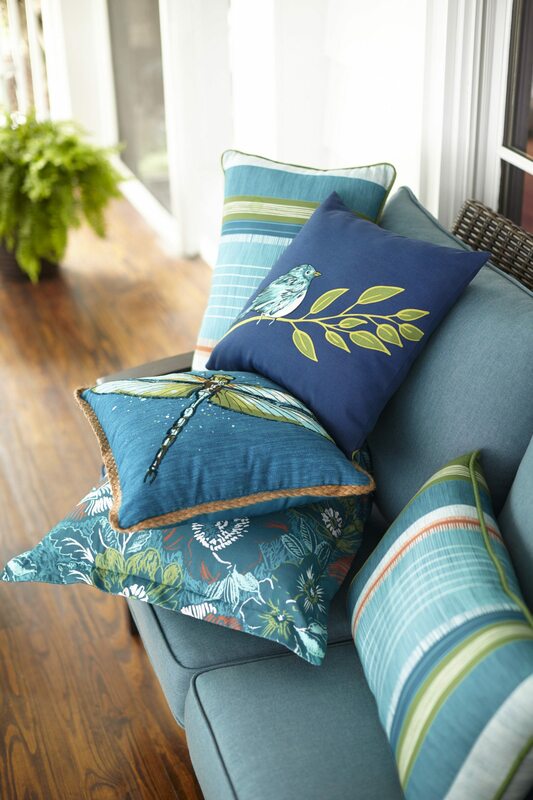 Likewise, outdoor throw pillows are a great way to dress up your patio furniture while offering that additional level of comfort to guests. Color is a fantastic way to distract from any potential eyesores in your yard. Got a section of grass that never grows in as well as you want it to? 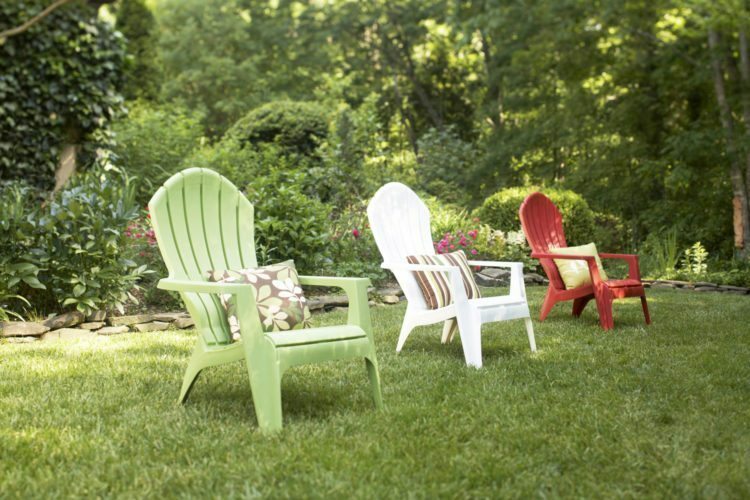 Set up a few brightly colored Adirondack chairs and you’ve created a cozy conversation spot. Take it a step further and put down an indoor-outdoor rug first to really set the sitting area apart. Decorating with flowers is another way to infuse color into your outdoor space and hide any pain points. 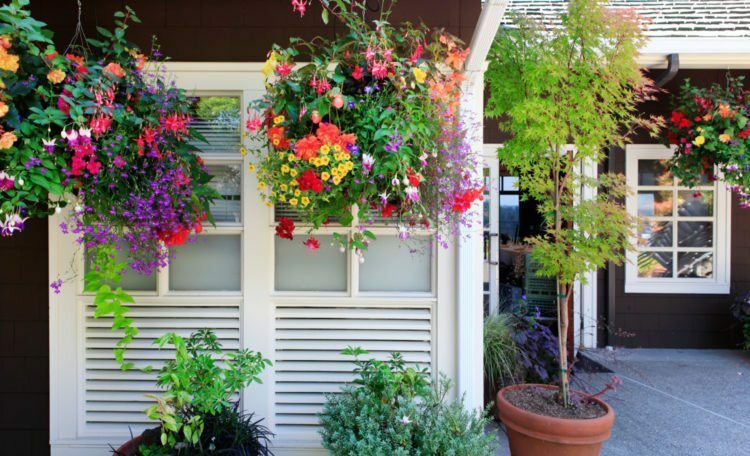 Draw attention away from the projects that will require more time this summer — like a fence in need of repair or a home that needs a fresh coat of paint — with flower baskets. We promise no one will see the eyesore, they’ll only see your beautiful flora! Here’s a perfect excuse to stock up: From May 24-30, Lowe’s is offering two hanging baskets for $10. 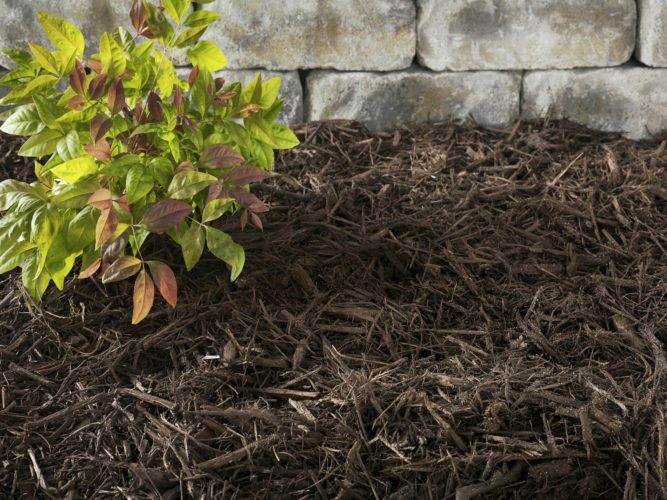 Adding mulch to your flower beds is a win-win. Not only is the ground cover good for retaining moisture in your beds, a layer of mulch is an easy way to make your entire yard feel more finished. Bonus tip: After you’ve mulched, take photos of your home’s exterior all dolled up and tuck them away for later. If you ever sell your house (especially in the winter), you’ll have gorgeous photos that showcase how wonderful your house is. Nothing detracts from your yard like a rusty, dilapidated grill. 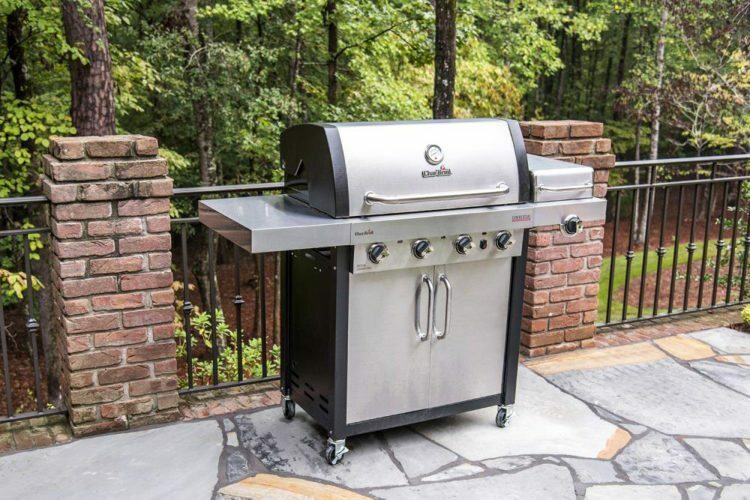 Memorial Day sales often include great deals on grills, and this year is no exception. Lighting lends warmth and sophistication to an outdoor space. 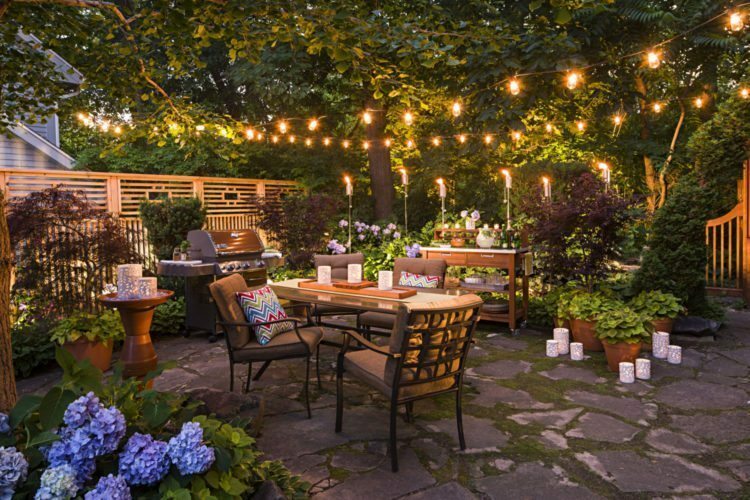 Set up some outdoor lanterns or string up a set of bistro lights, and your space will be instantly more welcoming. A beat-up garage, patio, front or back door can easily detract from an otherwise beautiful outdoor space. It’s surprising how much a new door can provide an overall facelift for your entire home. Lowe’s is having a sale on custom doors (and windows! ), making it a great time to buy. Get 20 percent off between May 23 and June 5. Looking for a cheaper fix? 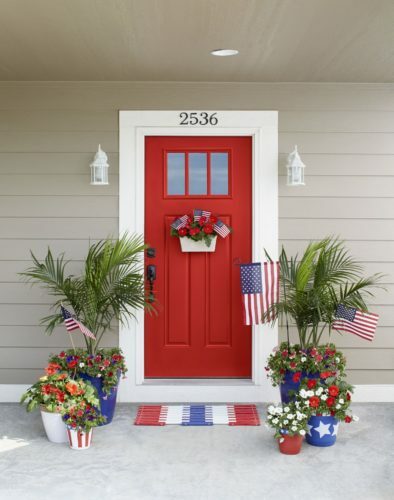 Try adding a coat of paint to your existing door until you’re ready to invest in a new one. Just be sure to buy the right kind of paint, and you’ll be good to go. As it goes with many home projects, a few polished pieces can help lift the overall look of your space. Maybe you can’t swing a whole new patio set right now. Upgrading your table and tossing some throw pillows on your old chairs is an easy, more affordable work-around. Or consider investing in a bright, new umbrella and save your furniture upgrades for another time. Nothing says summer-ready like clean, cobweb-free patio furniture and a bright, freshly pressure-washed patio or deck. 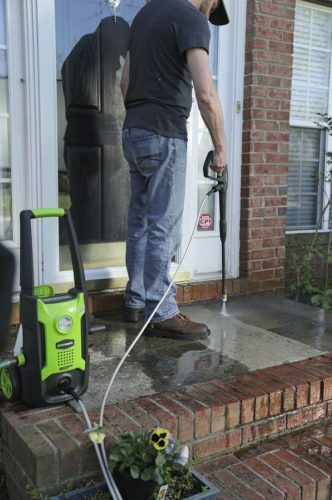 A pressure washer can be used to clean everything from outdoor furniture to your sidewalk, fence, deck, driveway and the countless other items you’ll find yourself washing once it’s in your hand! Lowe’s has this one from Greenworks on sale for as low as $79 (the deal runs from May 23 – 30), which is a steal. Transforming your yard to be summer-ready can be costly and time-consuming, but it doesn’t have to be. Follow a few of these tips and then bring on those backyard barbecues! Flowers in the hanging baskets with white windows and brown wall.